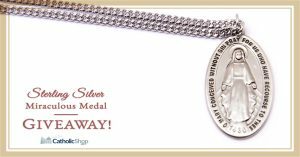 Home / FREE Sterling Silver Miraculous Medal Giveaway! 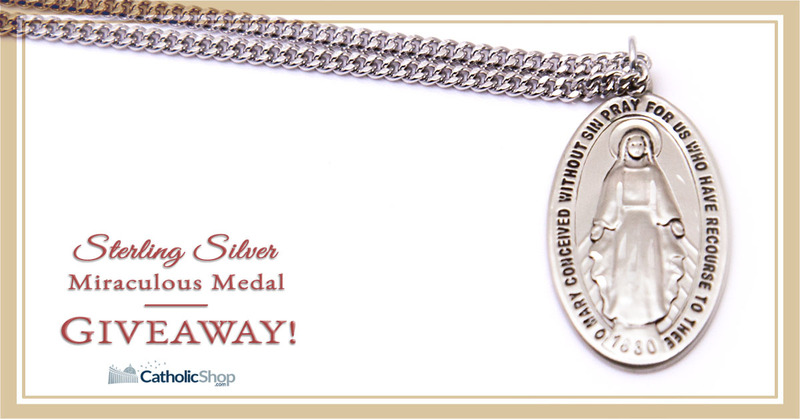 This week’s FREE giveaway features a Sterling Silver Miraculous Medal in a deluxe gift box. “All who wear them will receive great graces” – Sister Catherine Labouré. Enter today for your chance to Win! Winner will be chosen next Tuesday, April 9. Don’t miss your chance to win this FREE medal, Enter today! « Catholic Confirmation Gifts – On Sale Now!